This new addition into the Rachael Ray Home collections is based on Rachael’s love of and special connection to an area in Italy, known as Monteverdi. 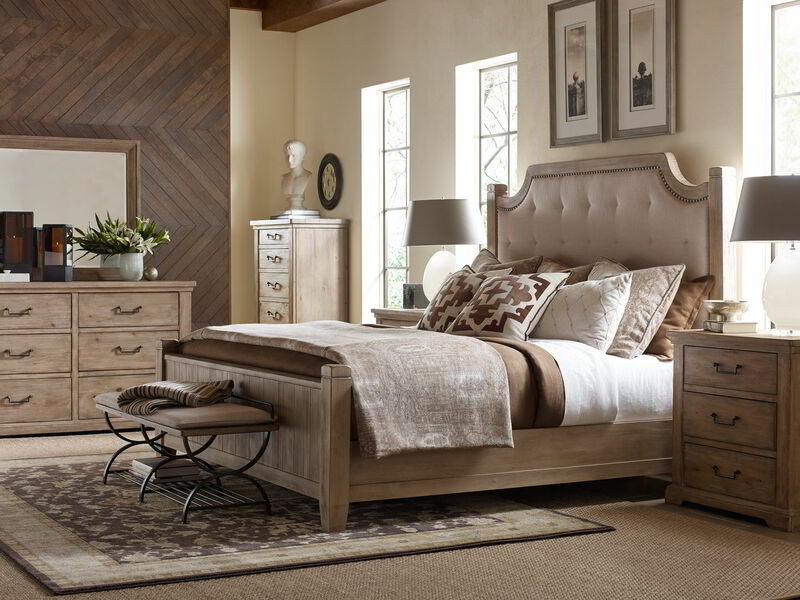 This rustic casual collection features Pine solids with Knotty Cypress Veneer in a Sun-Bleached Cypress finish. Beautiful details such as planked tops, Forged Nero finished metal hardware and accents create pieces with a timeworn and hand-made feel. The collection offers multiple options for bedroom, dining and occasional.